A landlord’s hesitation over accommodating a tenant who became disabled during the term of his lease agreement sparked a charge of discrimination. HUD announced that it is pursuing a claim for damages against the Albuquerque landlord for failing to allow the tenant to modify the rental home to provide better wheelchair access. According to the charge, the tenant agreed to pay all costs associated with making the modifications. In requesting the modifications, the tenant informed the landlord that all of the work would be performed by licensed contractors and that if the landlord wished, he would pay to return the unit to its original condition. HUD’s position is that refusing to allow tenants to make reasonable modifications at their own expense is a violation of the Fair Housing Act. The tenant had no disability when he initially rented the home. 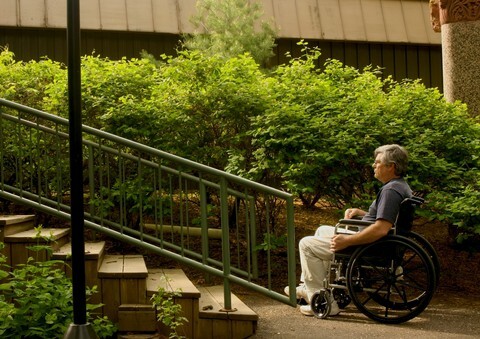 After developing a serious medical condition that made it necessary for him to use a wheelchair, he wrote the landlord a letter asking if he could have a ramp installed and other modifications made. His request to install a ramp was granted, but other requests, including a request to remove a shower door, install a higher toilet and lower the kitchen sink, were denied. When the tenant renewed his request to make the modifications the owner had denied, the owner allegedly withdrew a prior offer to renew the tenants lease and terminated his tenancy, which the tenant says is in retaliation for his requests to make modifications.